After dropping a cassette last year on their own Licking River Records, we now have a proper sophomore LP from AXIS: SOVA. Courtesy of the Drag City sub-label God? 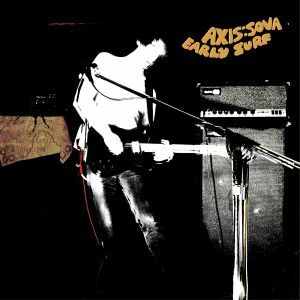 Records, Early Surf is the next entry in a discography of intentionally twisted noise rock. The record opens on a wobbly note in “We Turn Pale” before the roaring guitars take a firm hold. Electronic percussion keeps the rhythm loose and ready for whatever size sludge-bomb oozes its way. Frontman Brett Sova sings behind his veil of perpetually soaring guitars, immediately setting the tone for this wild and supremely distant space rock epic. The track-listing reveals a variety of shapes and sizes, ranging from fuzzy acoustic numbers (“Blinding Light”) to drawn-out and kraut-inflected psychedelic journeys (“Fractal Ancestry”). “Afflicted Taste” has us lost in a brow-searing wave of guitar heat while Sova seemingly sings from underneath a pool of thick tar. Blown-out soloing unfolds as if it were his stream of consciousness, twisted and bending downward to hell and straight back up to the cosmos. “Ask Me About My Smell” is doused by a napalm whirlpool of blistering noise, spinning around feverishly while simultaneously shredding your ears to ribbons. “Secret Hand” provides a brief two minutes to get your thoughts back in order after the previous noise attack – the track glimmers with streaks of colorful and hazy synths, creating a chilling sci-fi effect with the crunch of guitar looming in the background. “Glass” is plagued by a drooling string of guitars and haunting synths, eventually solidifying (more or less) into a strung-out and lethargic punk-influenced finish. “Fractal Ancestry” is the records fastest entry, burning up on a beam of highway-ready psych with a nod to kraut rock. Guitars are absolutely sick and wigged out with shocking effects over the flood of static percussion. Sova noodles about and weaves an extended and righteous solo right through your skull, quickly creating one of the album’s strongest moments. For once, you can almost understand his lyrics, but you’re still not very likely to detect what he’s spewing. “Dictator of a Flower” calms back down compared to the prior with some sweet and *cough* flowery hooks, not to mention, Sova’s ever-changing vocal tone. Self-titled album closer “Early Surf” guides us out on a slick, repetitive solo that demands your attention. It’s a maddening affair, electrifying you one note at a time – like you’re being plucked and prodded to death by an endless surge of needles. Start with these two tracks below for a small snapshot of what this album has in store. 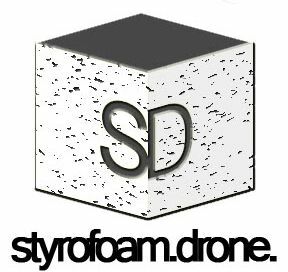 Posted on April 10, 2015 by styrofoamdronePosted in LP, ReviewsTagged Axis: Sova, God? Records, noise rock, psychedelic, space rock.